When it comes to beauty, skin care and cosmetics, eye creams rarely get the same popularity as the other products. However taking care of the skin around the eyes is as important as taking care of every other part of your body. One of the main reasons to take eye cream seriously is because it helps to take care of the skin around the eyes, prone to fragility and thinness, which leads to wrinkles, dryness and puffiness. The eyes are also the first to show any signs of poor health and lack of sleep. 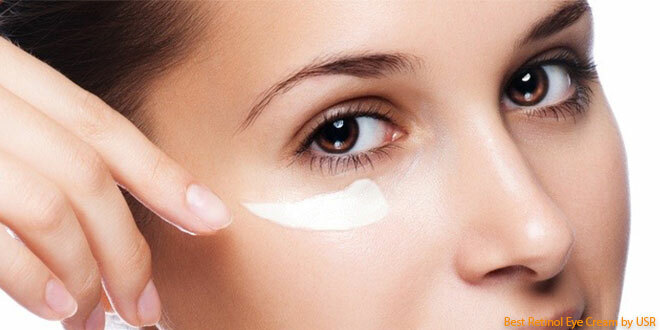 They are also the first signs of aging, so there is need to use eye creams in order to get rid of these signs. Eye creams are important also, because they help to hydrate the skin around the eyes keeping them well moisturise at all times. It is never too late to start using eye creams and there are specific products in the market that fit your kind of skin texture and tone. 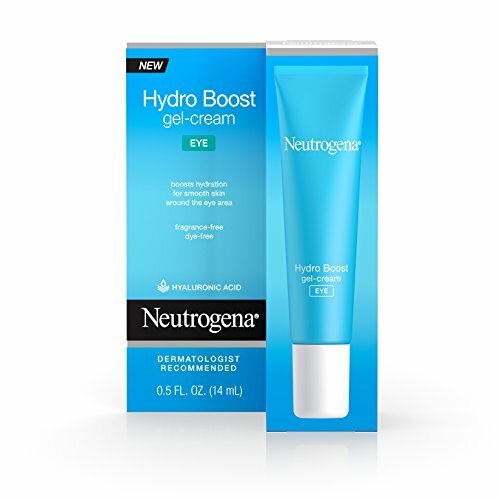 Below is a look at some of the best eye creams in the market today. The market has so many different types of eye creams that choosing one from the other can be a daunting task. 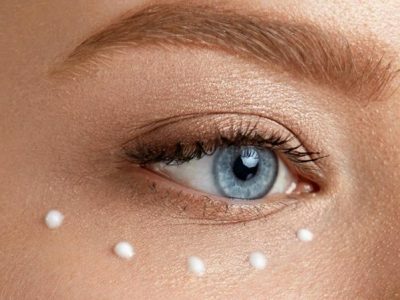 To help you out with the best choices, below is a look at ten of the best eye cream products in the market today. 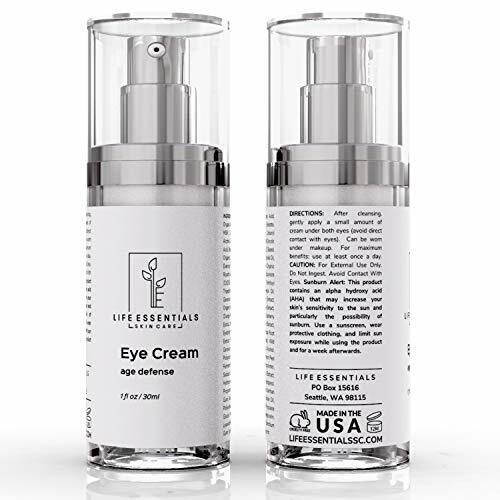 The above eye treatment cream comes in a fluid of 0.5 ounces enriched with quality ingredients. 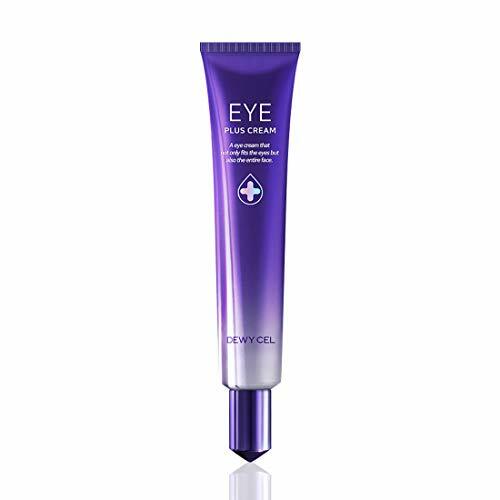 The eye cream reduces dark circles around the eyes, replenishes the skin under the eyes and firms the eye contours. It hydrates the skin, leaving freshening effects. If you are looking for a great moisturising cream that will take away the puffiness and leave your skin feeling young again, then this cream should do it. The price of the eye treatment cream is also affordable. 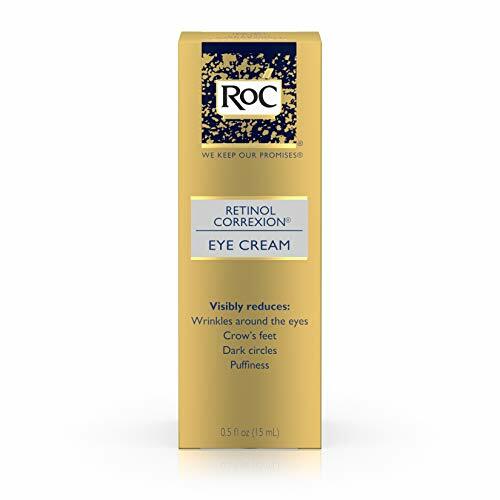 With a special formulation for the delicate area around the eye, this cream comes with a fast acting retinol that helps to even and brighten the skin and fade out stubborn crow’s feet. It also helps to reduce dark circles around the eyes and to smooth fine lines. In just one week of application, the cream gives you positive results that are easily visible. The unique combinations of ingredients that make the cream stand out leave the skin around the eyes looking both younger and smoother. Retinol SA, which has a clinical approval of renewing the skin look, is the main ingredient in this cream. Other notable ingredients are Glucose Complex, and Hyaluronic Acid. It is also easy to apply and it works very well even with makeup on. 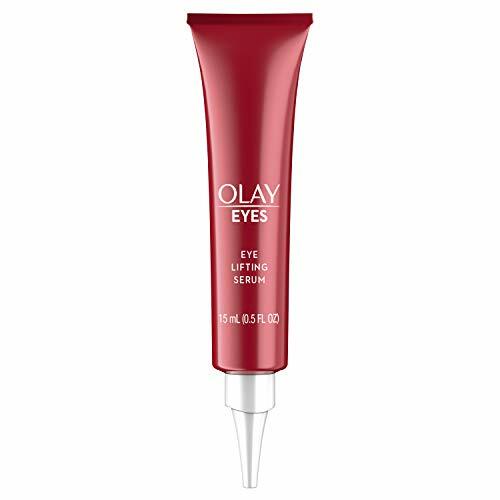 If you have tired eyes that need soothing, then the affordable Eye Serum by Olay should do the trick. The serum works instantly on the skin helping to plump the whole area around the eyes and getting rid of eye bags and fine lines. It also helps to hydrate and lift up any sagging skin. This leaves you with a firmer well-lifted skin that allows you to rest your eyes easily. The serum is free of fragrance, it is non-greasy and it absorbs into the skin surface easily and fast. Some of the main ingredients that give the serum the quality effectiveness are Vitamin Complex, Advanced Amino-Peptide and Glycerine among many others. All you need to do to start using the serum is click the end of the tub a few times to get the flow out of the pen. Apply the serum under the eyes using rollers for about 30 seconds and avoid any direct contact with the eye. You can use the serum in the morning and evening and always make sure you cleanse your skin well before you start applying. The unique water gel formula absorbs quickly like a gel, with the long-lasting, intense moisturizing power of a cream. 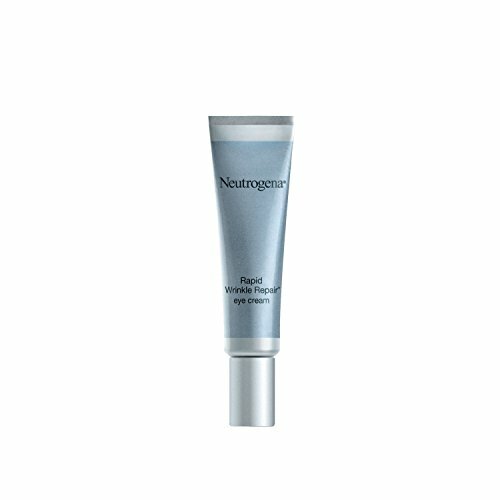 The above eye cream is a quality product from Neutrogena and it is both ophthalmologist-tested and dermatologist-recommended. Made with purified Hyaluronic Acid, the cream also contains a unique water gel formula that absorbs easily and fast into the skin. The cream beautifies, protects, hydrates and cleanses the areas around the eyes leaving you with an even smooth and younger looking skin. You can wear the cream under your makeup or without make-up. Other benefits of the cream are that it keeps the hydration levels locked all day long and it is non-comedogenic. This means that your pores will still breathe easily after you apply the cream because it does not clog them. You can use the cream for night and day without the fear of any side effects. 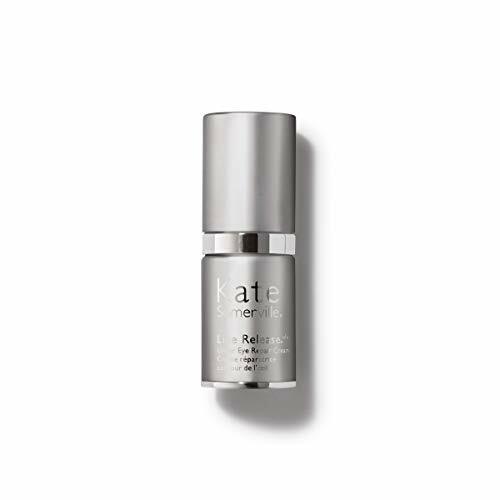 Kate Somerville Line Release Under Eye Repair Cream-0.5 oz. AN INCREDIBLY POWERFUL EYE BRIGHTENER: This under eye repair cream utilizes an advanced Peptide Blend to smooth the look of wrinkles and reduce the appearance of puffiness. Designed to combat expression lines over time, this eye brightener minimizes the appearance of dark circles and illuminates the entire eye area. 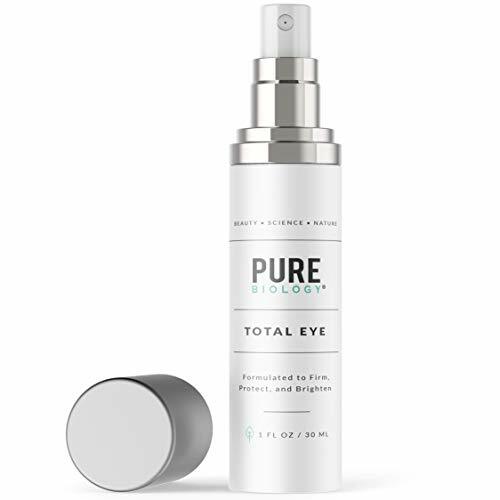 WORKS TO VISIBLY LIFT AND CONTOUR THE ENTIRE EYE AREA: This revitalizing serum reduces the appearance of puffiness and increases the appearance of skin firmness around the eye area. Its unbelievably lightweight formula targets visible signs of aging to diminish the look of fine lines and wrinkles. HOW TO USE FOR BEST RESULTS: Use twice a day - once in the morning and once in the evening. Gently pat small amount around the eye area. HIGH-QUALITY INGREDIENTS THAT REJUVENATE SKIN: Acetyl Hexapeptide-3 is intended to make the eyes appear lifted and more contoured. Tripeptide reduces the visible depth of expression lines. Other powerful ingredients help reduce the look of wrinkles.Vitamins A, C, and E provide a powerful Antioxidant boost to skin. Soybean Protein moisturizes skin while Cucumber Extract conditions and soothes. FORMULATED BY HOLLYWOOD ESTHETICIAN KATE SOMERVILLE: Celebrities around the world turn to Kate Somerville's products, her Clinic in Los Angeles, and her 25 years of experience helping perfect her clients' skin. The above 0-5 ounce eye cream is affordable and works on wrinkles instantly. The cream mainly targets skin damaged due to age related issues transforming it to look younger by getting rid of the fine lines and wrinkles. 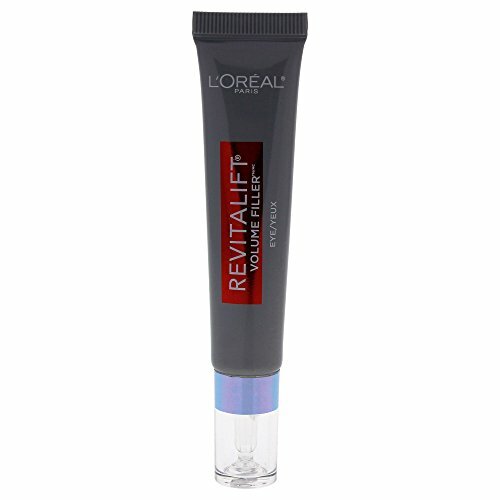 The cream gets rid of all the dark circles while at the same time illuminating the area around the eyes. 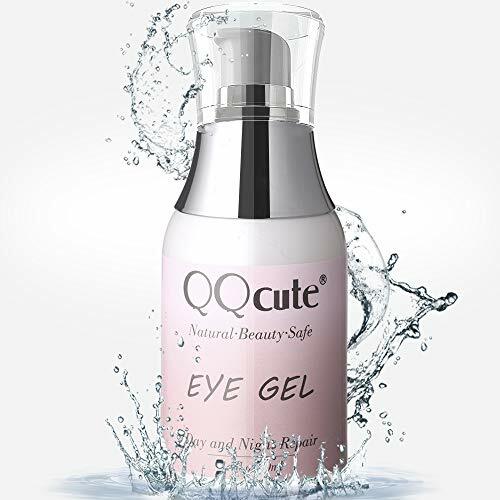 It contains powerful ingredients like Acetyl Hexapeptide-3, Tripeptide, Cucumber Extract, Soybean Protein and Vitamins A, C, And E to rejuvenate the skin around the eyes. The cream is a favoirite with many celebrities and the creator, Kate Somerville is a Hollywood aesthetician. Known for her quality products, you can trust Kate Somerville’s products to make you feel like a star. Anti-aging, wrinkle care, and moisturizer. Suitable for all skin types, dermatologically tested. If you are looking for a cream that will get rid of your wrinkles around the eye area while at the same time giving the skin an intense firming, then this affordable cream form MIZON will do just fine. The cream that comes in a colourful pink tube contains collagen that works on wrinkles and skin elasticity. It also helps to keep the skin smooth and well moisturised day and night. The ingredients are natural and good for people with sensitive skin types. It has a 5-free safe formula that helps to regenerate the skin and it is easy to use. Some of the most important ingredients are Glycol, Glutamic, Honey Extract and Glycerine among many others. You will also love the texture of the cream because it is not oily or thick. SAY BYE BYE TO UNDER EYE BAGS - QUICK RESULTS, LASTING BENEFITS - Voibella's cool & calming botanical formula gives your eyes quick depuffing, tightening & soothing feeling, and also actively fights signs of aging for the long term. Get your beautiful, youthful look back! Bottle contains 0.5 fl oz of product. 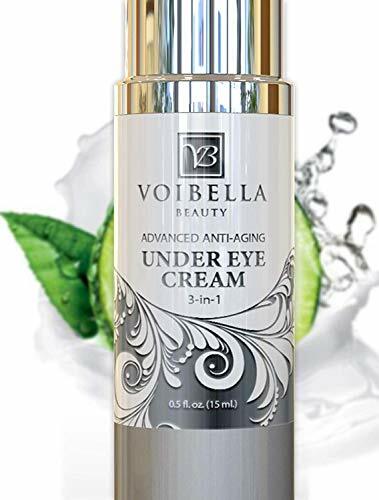 3-IN-1 TREATMENT FIGHTS ALL 3 EYE CONCERNS AT ONCE - Voibella's intensive eye repair cream fights unsightly under eye bags, puffiness, dark circles and drastically diminishes fine lines and wrinkles around the eye area - it's the ultimate all-in-one eye treatment. NATURAL & ORGANIC INGREDIENTS WORK SYNERGISTICALLY - Our scientists infused this cream with powerful naturally derived anti-aging ingredients, each renowned for a specific anti-aging benefit for your eyes. (Cucumber, Collagen, Hyaluronic Acid, Retinol, Vitamin C, E & Peptides). Perfect for day and night, men and women. WHY IS OURS UNIQUELY BETTER? 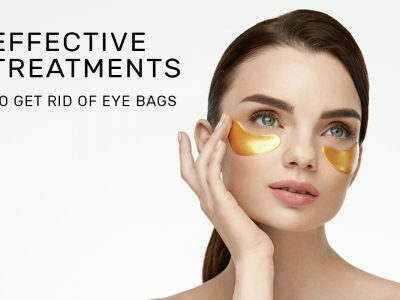 - Made with pure botanical ingredients, in the USA in FDA registered and GMP certified facilities, this professional product is 3rd party tested, paraben free, sulfate free, cruelty free, vegan friendly & gluten free - so you know you are getting the highest quality restorative eye bag reducer. VOIBELLA's 365-DAY GUARANTEE + BONUS CONSULTATION - Why take risks, when you can buy a product that is backed by our rock solid 365-day money back, manufacturer's guarantee. In our family-owned business we take pride on giving extra value, so as a FREE BONUS, you will get a personal skincare consultation to assist you in your skincare journey. This could be the best anti-aging investment you can make! Just contact us after ordering, to receive it, free of charge. Lack of sleep makes many people develop dark eyes around their eyes and it is never a remarkable sight. You can now get rid of the insomniac look by buying this 3-in-1 affordable eye cream. This Voibella beauty cream works well for wrinkles, eye bags, puffy eyes and dark circles. Infused with a regimen of high quality natural ingredients, the cream fights the major three eye concerns with a single application. Some of the most notable ingredients are Hyaluronic Acid, Cucumber Extract, Vitamin E and C, Retinol, Peptides and Soluble Collagen. With the purchase of the cream, you also get a bonus consultation to tell you everything you need to know about caring for the skin around the eyes. Now is that not an investment worth thinking about? With a bonus and an anti-aging firming regimen all contained in an affordable bottle of eye cream, you cannot go wrong. 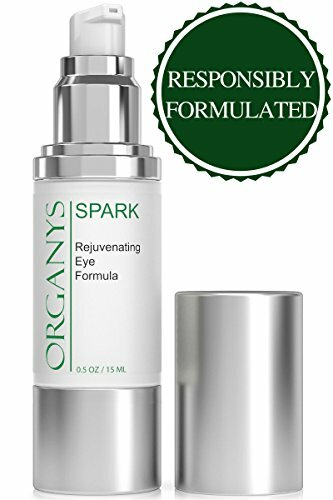 You can easily kiss all those eye bags, dark circles and fine lines around your eyes with Organys eye cream. The cream contains a combination of strong ingredients that include Vitamin C, Anti-Wrinkle Peptides, Caffeine and Hyaluronic Acid that blend well to give the skin a healthy look. The cream works well on crow’s feet too and it fills up all the fine lines surrounding the eyes. With over 100,000 users swearing to the positive effects of this cream, you can trust it to give you a natural lift and a tight effect that will not leave you looking younger but moisturised and hydrated too. The serum does not contain parabens, color gluten, fragrance, sulphate PEG, SLS or phthalates. There is no animal testing on the product and the maker is a U.S. based lab, registered by the FDA. 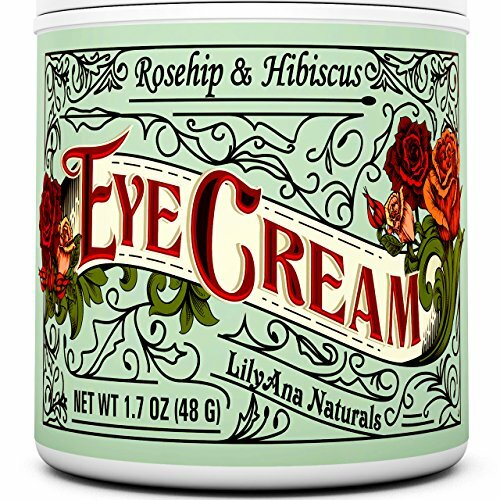 For best results, use the cream every day and join the long line of users that proudly say they found the right cream for their eyes. It is affordable and comes in a 0.5-ounce bottle. For application, use your fingertips and an upward gentle motion. Apply in the morning and at night and always make sure your face is clean. Make sure to let the cream absorb before you apply your makeup. When age starts to catch up, the first places that show the signs are the places around the eyes. Fatigue also has a very negative effect on the same areas and anyone can see the signs without asking. If you are in the market for a cream that gets rid of the aging and fatigue signs, then Lily Ana Naturals Cream Moisturiser is the one to consider. The things that make this cream to stand out are its organic ingredients that deliver excellent results. Some of the ingredients are Hibiscus Extract, Rosehip Oil, Vitamins C and E, and others. The cream is good for both men and women and comes with no side effects. It contains no artificial fragrances or colors; it is parabens free and cruelty free. 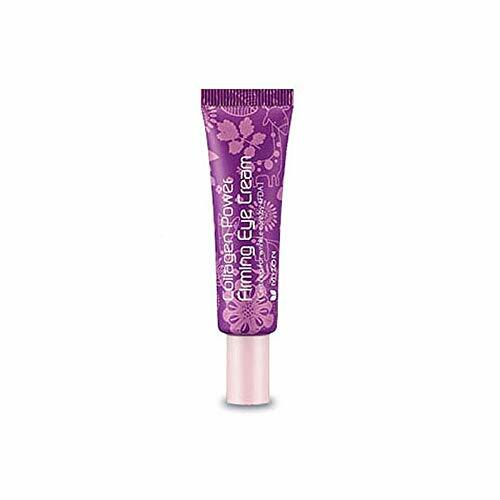 The eye cream firms the skin, gets rid of wrinkles, moisturises, hydrates, gets rid of puffiness, eye bags and dark circles, it repairs the skin giving it a radiant, smooth complexion. Different people have varying skin care problems and needs. If one of those needs is your eyes, then you need not worry because you have the best cream to help with all the problems you may have. The skin around the eyes gets a beating over the years, making it sag and look older than other parts of the body. Life Essentials Eye Cream is your defense against age. Besides getting rid of the wrinkles, the cream also reduces eye puffiness, bags and dark circles, fades fine lines, helps to prevent any discolouration of the skin, brightens the skin, and increases the firmness of the skin. The cream moisturises and hydrates the skin all day long making you look radiant. It is affordable and easy to apply. The cream, which is in infusion of herbal ingredients, has no side effects and you can use it day and night. Many factors including health, environment, diet and age, affect our skins differently every day. One of the parts of the body that gets a beating from these factors is the eyes and skin surrounding our eyes. 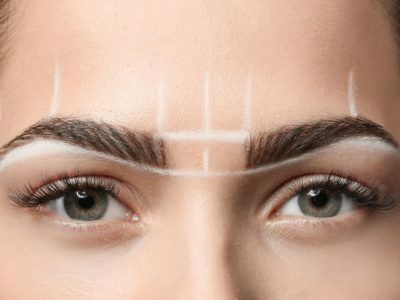 We get crow’s feet, fine line, dark circles, sleeping bags, sagging skin and wrinkles. One of the reasons is because the skin around the eyes is much thinner than the skin from other parts of the body. Age catches up with all of us at some point. The area around the eyes gets the biggest blunt from aging. 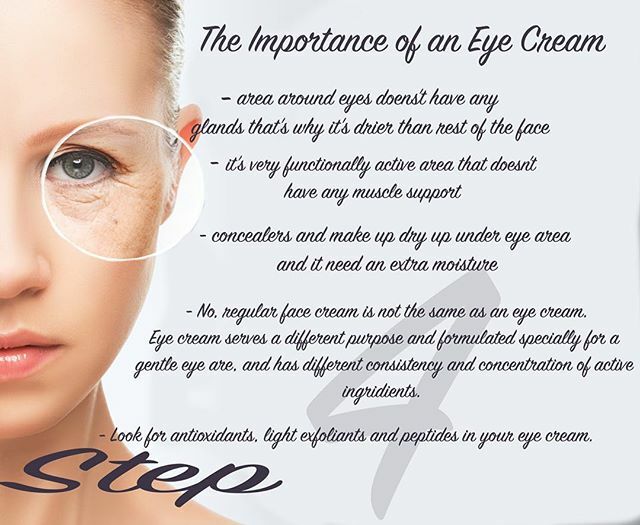 A good eye cream will not stop the aging process but it will firm up the skin around the eyes to stop it from sagging, and the formation of wrinkles and fine lines. Eyes are like the windows to our soul and they are the first noticeable parts of the body. For this reason, many people want to maintain that youthful look that makes their eyes sparkle. However, age takes away that sparkle but eye creams can bring it back by taking care of the fragile skin around the eyes. Majority of the creams have quality ingredients that help to protect and fortify the skin from aging further. One of the main benefits of an eye cream is to moisturise and keep the skin around the eyes smooth. The area around the eyes dries up easily because it does not have many oil glands. This in turn leads to the skin thinning up faster than other areas of the body. Many of the quality eye creams in the market today contain powerful ingredients that help to keep the skin well moisturised and hydrated. One of the main ingredients in many of the creams is antioxidant, which helps to fight the effects of stressors and environment that cause the skin to age though they may not have immediate effect; they go a long way in providing what the skin needs. For skin to remain looking strong, dewy and healthy, it needs water. The place around the eyes dries up fast, making the skin become saggy and weak. Eye creams contain ingredients that help to hydrate the skin, which in turn makes it look young and healthy. Choosing the best eye cream for your skin can be a daunting task because the market has too many options. However, as overwhelming as the number of products is, youy can follow the following guidelines to help you choose the best creams. Always make sure you know the kind of ingredients that the eye cream you want to buy has by reading the label. If you find out that, the cream has ingredients that have alcohol and parabens, then move to the next one because these products may irritate the skin. The skin around the eyes is more sensitive than many other parts of the body and anything with alcohol and parabens may have bad effects. You cannot buy any product blindly without finding out about the price first. All eye creams are differ in prices and you do not have to go overboard to spend too much on a cream when you can get a cheaper one with the same ingredients. Carry out a thorough research on the prices before buying. It is important to read users reviews on the different products in the market. This will give you an idea of how popular the product is and if it is worth going for. You will also learn of any side effects. It is tricky knowing how much of the cream is right to use because all the products are different. 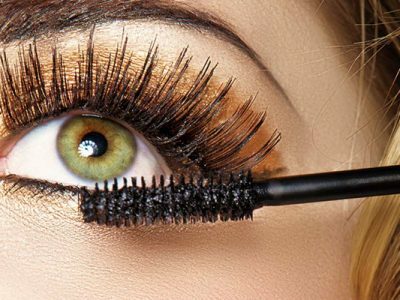 For some creams, a little is enough for both eyes while for others, you need to add more to cover both eyes. Make sure you read the instructions carefully for every product you use. In some cases, the damage around the skin may be too much for one cream to clear the problem. You may need to accompany eye cream with something else like an eye bath. You should however consult your physician before you start pairing up products. In addition, if you have any underlying health problems, you should not apply eye cream before you get a go ahead from your physician. Some of the problems may be due to other reasons that do not need an eye cream. We all want flashy, firm and clear skin around our eyes because they are the windows to our souls. Dark circles, sagging skin, eye bags and fine lines are all an indication that something is wrong. The above-mentioned eye creams will go a long way in alleviating some of the most common eye skin problems. They are easy to use and they offer you enough comfort and good health. 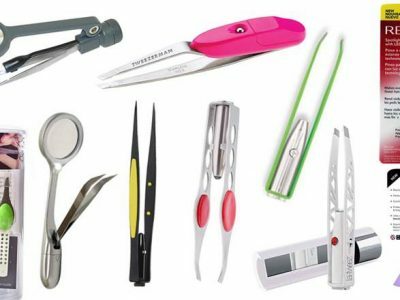 All the products are readily available and affordable from Amazon.